Last week the County Council adopted the Annapolis Neck comprehensive zoning bill. The final version that passed is a mixed bag. The adoption finally brings closure to a 10-year planning process that started with the 1997 General Development Plan. On the plus side, the bill limits future development on hundreds of acres of environmentally sensitive land south of Forest Drive, as recommended by the 2003 Annapolis Neck Small Area Plan. In the minus column, some amendments that passed open the door to more intense development by upzoning several parcels along the Bestgate Road corridor. Most disheartening is that the bill fails to honor the agreement reached by community leaders and owners of the Samaras property on Bay Ridge Road. I'll discuss this agreement more towards the end. I voted for these changes, all of which were recommended by the 2003 Small Area Plan. The adopted bill creates more intensive zoning on four separate parcels from one end of Bestgate Road to the other. 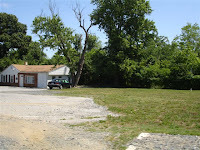 One parcel at the intersection of Generals Highway is the site of the former Naval Institute book warehouse. It was already zoned C-2 commercial and the bill upzones it to C-3. I voted against these changes for several reasons. First, the 2003 Small Area Plan recommended no changes to Bestgate's zoning. Years of public input and thoughtful deliberations went into that Plan. It should not tie the Council's hands, but the Council should only depart from it for good reason and with broad community support. The Bestgate corridor should be examined in a broad context rather than piecemeal. 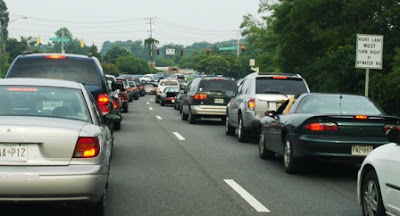 Before allowing more intense commercial development there in the future, the County should first understand what the impacts will be on traffic, the environment, water and sewer capacity, and the residential quality of life in adjacent neighborhoods. In contrast to Bestgate Road, the Council made no changes to Route 2 south of Admiral Cochrane Drive. Several residential property owners had requested amendments to change their zoning to commercial. The County's long-established policy has been to keep Route 2 residential south of Parole. Neighborhoods such as Gingerville, Wilelinor and Poplar Point have fought time and again to prevent expansion of commercial development there. I ran for office partly on a platform to contain growth and protect the character of these neighborhoods. No member of the Council offered any amendments to upzone properties along Route 2 south of Parole. For the past four months, several community leaders worked hard to negotiate a landmark agreement with the owners of the properties referred to as the Samaras property. 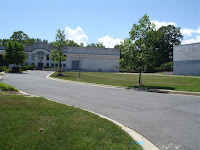 These six acres on Bay Ridge Road include the C&C Liquors store across from Georgetown Road, as well as several residences next to and behind it. The agreement secured several concessions to benefit the community. 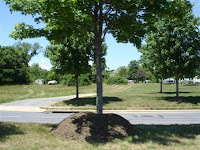 It would have required the property owners to build LEEDS-certified green buildings; replicate the stormwater runoff as if the land were in its pristine, natural state; protect a forest conservation easement along the rear property line; reduce curb cuts onto Bay Ridge Road; and add a bike path. In addition to these specific concessions, the property owners agreed to establish a design review board of residents to work with the developer and monitor the project from start to finish. This would have literally given the community a seat at the table to help shape the development in a positive way. In return for these concessions, the agreement called for rezoning the balance of the property from R-2 residential to C-1 commercial. Making the property all commercial would have benefited both parties. It would have given the property owners the financial return to pay for the concessions. It also would have meant no more houses along this stretch of Bay Ridge Road, something the community leaders were trying to avoid. The community representatives who participated in the negotiations shared my belief that some development is inevitable on that site. The purpose of the agreement was to ensure that when the site does get redeveloped, it would be done in a neighborly way that enhanced rather than diminished our quality of life. A majority of the County Council voted down the amendment that would have implemented the agreement. Instead the Council adopted an alternate amendment that rezoned only a portion of the front of the property to commercial. Unfortunately, that amendment was inadequate to implement the agreement. It will likely lead to a small strip shopping center in the front and more houses in the rear, exactly what the community leaders didn't want. It is expected that any major piece of legislation will see some changes as it works its way through the process. Still, it is disappointing that this final bill so clearly disregards the community's will in two areas: by changing portions of Bestgate Road from residential to commercial, and by failing to honor the agreement for the Samaras property. County Executive Leopold has signed the bill and it will soon become law. The book is now closed on the Annapolis Neck zoning bill. Later this year the County expects to start the next General Development Plan. This planning process, expected to take 18 months, will set the blueprint for future county growth, development, and preservation. Although the exact GDP process is unknown, it is likely that the County's immediate focus will be on West County to prepare for the imminent military expansion. The next zoning bill for the Annapolis Neck is probably several years away, if not longer. Last week the County Council adopted the Fiscal Year 2008 budget for Anne Arundel County. The $1.44 billion budget includes $1.22 billion in operating funds and $219 million in capital projects. The County Auditor noted that this is the tightest budget in 20 years. The budget limits spending increases through a combination of tax rate cuts and expense cuts. At the same time, the budget funds a record increase to the Board of Education. Overall, the budget process was collaborative and it worked well. Although many worthy items were not funded, we did the best we could to balance different objectives with the money available. The budget reduces the property tax rate by three percent, from 91.8 cents to 89.1 cents per $100 of assessed value. This reduction is required by the county’s property tax revenue cap, which requires the county to reduce the tax rate when rising assessments outpace the rate of inflation. With this tax rate cut, Anne Arundel County continues to have the lowest property tax rate ($0.891) and income tax rate (2.56%) of any of Maryland’s “big seven” largest jurisdictions. This past March, the Standard & Poors bond rating agency awarded us a coveted Triple-A bond rating. This valuable designation will save taxpayers money by letting the county borrow money at more favorable rates to pay for long-term capital improvements. This rating is due in large part to the county’s history of prudent fiscal management. The budget invests a record $545 million to the Board of Education, an increase of roughly $29 million. This increase funds 213 new positions including 111 new teachers and 45 new teacher aides. The budget also funds the negotiated 6 percent teacher salary increase supported by the County Council. The budget includes $25,000 for a proposed Forest Drive commuter express shuttle. I have requested a $25,000 match from the State of Maryland and an in-kind match from the City of Annapolis. By partnering together, the City, County and State can make this new service a reality. Other funded projects include the Forest Drive road widening project to add an additional through lane in each direction between Chinquapin Round Road and Hilltop Lane. Engineers estimate that this will reduce backup times by 25 percent during peak hours. The budget also funds an expansion of Peninsula Park on Bay Ridge Road, and keeps the new Annapolis Neck Fire Station on schedule to open in late 2008. Despite the record funding and new positions, in my view the budget does not do nearly enough to bring our public school system “from good to great,” as schools Superintendent Kevin Maxwell often says. Although 213 positions may sound like a lot, many of them are mandated and do not address existing needs. For example, almost 100 of the 213 new positions are going to a state-mandated all-day kindergarten or to Pre-K. The budget partially funds the IB Middle Years Program at Annapolis Middle School and two other schools, but fails to fund the new teaching positions that go along with it. It is unclear how the Board of Education will provide for the new Annapolis High School initiatives. AHS faces the prospect of a state takeover if it fails to make Adequate Yearly Progress (AYP) during this coming school year. Principal Don Lilley has good ideas such as identifying struggling, incoming ninth-graders and providing them with a rigorous educational program before they fall further behind. But he can only implement these initiatives if the money is there. It is a common misperception that most education dollars should fund only teachers, and that non-teacher positions are mostly unnecessary. In fact, without the help of guidance counselors, social workers, pupil personnel workers, secretaries, test coordinators and other staff, teachers would be unable to spend the necessary time on instruction. It is vitally important to maintain a full component of these services. It is hard for a student to excel when his or her family is in the midst of a crisis such as going through a divorce or battling addiction. Guidance counselors can intervene in these difficult situations and help students find stability and stay focused. Unfortunately, guidance counselors, social workers and others are spread far too thinly to do their job well. Guidance counselors are often unable to even meet with students because the lack of test coordinators requires them to spend weeks on end doing paperwork instead. The budget cuts grants to non-profits by almost 50 percent. Although the County Council and Executive restored a little over $800,000 in funding, severe cuts may force many agencies to close their doors. It is especially distressing that the County provided no funding at all to the OIC Job Readiness Center and Centro de Ayuda (Center of Help), two local non-profits. OIC has offered adult basic education and job skills training to thousands of low-income county residents since 1978. Center of Help is one of only a handful of organizations that assist Spanish-speaking residents with everything from paperwork to after-school programs. In my view, many grants to non-profits are sound investments that are more than matched by the non-profits’ own resources. Non-profits leverage their public funding to bring in additional resources such as foundation grants and private donations. Armies of dedicated volunteers supplement paid staff. Cultural and arts groups also make an intangible but important contribution to our quality of life. They not only bring jobs and revenues to our county, they help make it a vibrant livable community instead of a bedroom community of commuters. The County recently sought and received the State grant office's assistance to help local non-profits pursue other funding sources in the future. This is a welcome offer but unfortunately may be too late to help some agencies. Many of the non-profits who were counting on County grants have no time to replace those funds before the fiscal year starts on July 1st. Our economy is not as robust as it was just a couple of years ago. For instance, real estate transfer and recordation taxes, which account for more than $100 million in County revenues, have been declining for two years. Next year the state has to solve a huge structural deficit that many budget experts believe will lead to cuts in state aid to counties. Clearly we need to be frugal as we go through an uncertain time. Still, at some time Anne Arundel County will need to decide if it is content with the services it offers and the achievement level of its schools, or if it wants to do better. I believe that Anne Arundel County cannot afford to continue on its current path. Of the big seven counties, Anne Arundel ranks sixth for our ratio of students to instructional staff and seventh for non-instructional staff. Our rank is a meager 21st and 20th in these two categories when compared to all 24 counties statewide. In the Annapolis feeder system, almost 40 percent of middle school students attend private school. This is unacceptable for so many reasons. Around Fort Meade our county will bear the brunt of, and pay the infrastructure costs for, a tremendous military expansion. We will only realize the full revenues associated with that expansion if new taxpayers choose to live in our county rather than Howard County or another jurisdiction. We need a top-notch school system in order to compete. We owe it to ourselves and to our children. I welcome your thoughts on these and other issues. You can reach me at 410-222-1401 or by email at joshua.cohen@aacounty.org.